NEW YORK -- 'Tis the season to be giving! 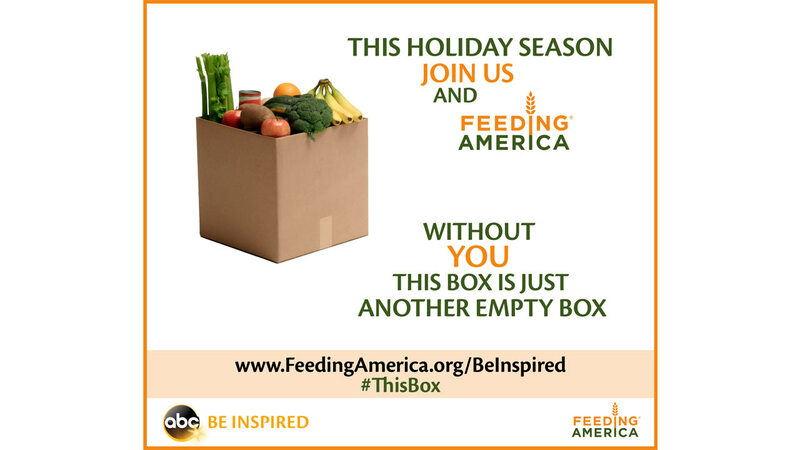 WABC-TV is participating in the Disney Corporate Citizenship/ABC Inspired Feeding America Campaign, which begins Tuesday, November 10th and runs through December 31st. We are asking you to join us in helping "Share the Joy" with others in need during the holiday season. -"A single kindness can change everything." Share the joy with those who need it most this holiday season. About "Be Inspired": At the heart of our citizenship identity is a business commitment to unify all of our prosocial under a single idea: "Inspiring kids and families to create the future they imagine."